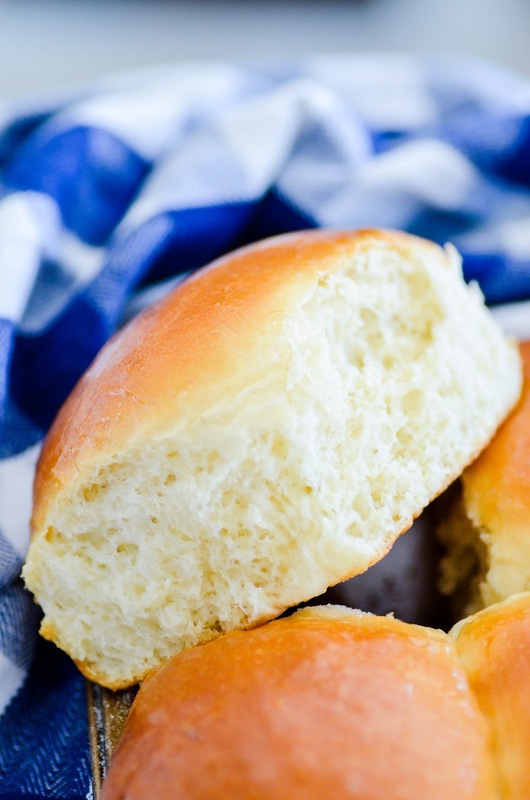 These dinner rolls were perfectly golden on top and pillow soft in the middle. 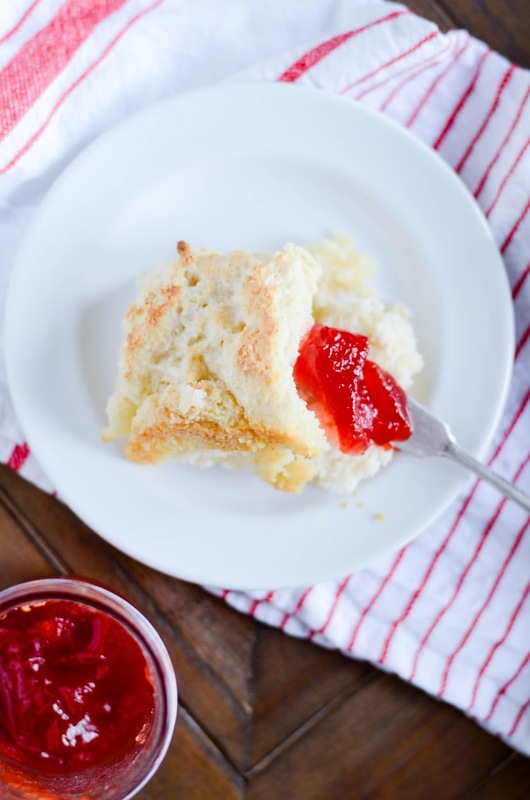 Plus, this recipe makes a BIG batch, which I think is a must in a dinner roll recipe! PSSSSST! FOLLOW us ON INSTAGRAM TO GET NEW DESSERTS DAILY! 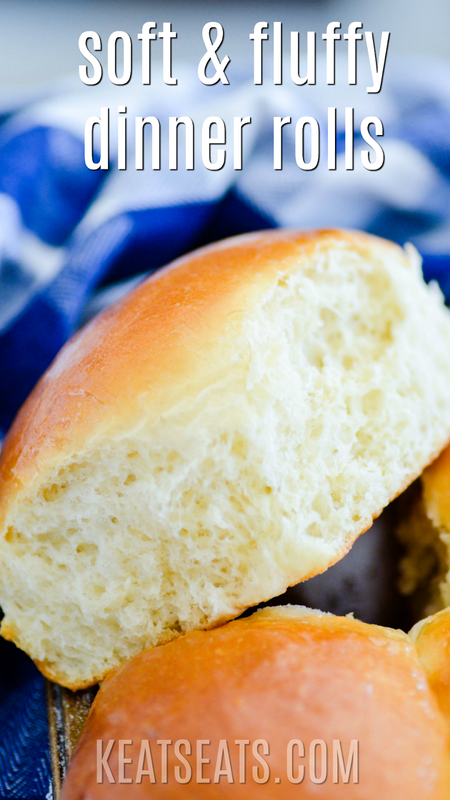 Looking for the perfect dinner roll recipe? You've found it. It's very important that these rolls get two FULL rises. What constitutes a "full" rise? The dough needs to double in size. The first time in the bowl and the second time after it's been divided into rolls and is rising on the pan just before baking. This is the only way to get that supremely soft and fluffy center! After the first rise, don't knead the dough any more. Turn the bowl upside down over a floured surface (I like to sprinkle flour over a kitchen towel so that I minimize the mess on my countertop) and let the dough fall out of the bowl. 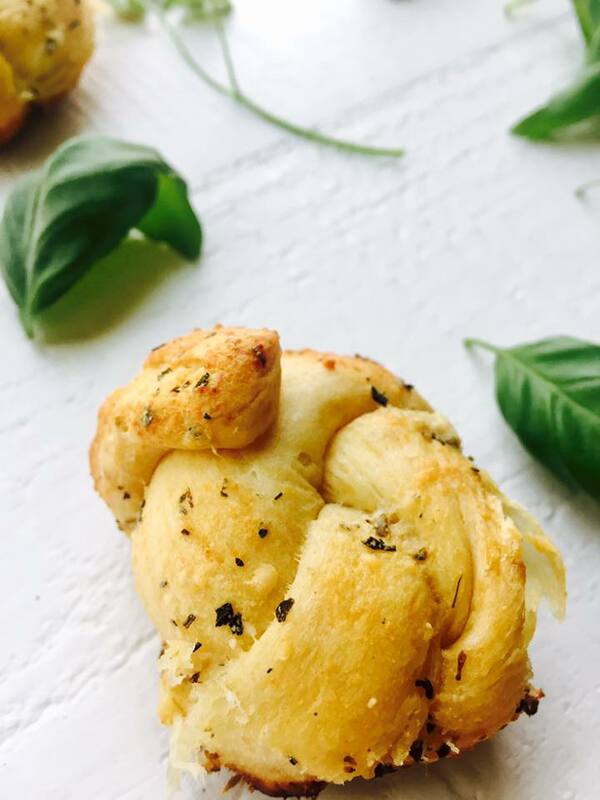 This allows you to keep as many air bubbles as possible trapped in the dough, creating more softness in the final product. You can speed up the rise process by placing the bowl or the pan on a heating pad. I do this often and get the exact same results in about 30-40 minutes as I do when I let the dough rise for hours at room temp. I made 16 rolls with this dough, but it could easily make more rolls than that. My 16 rolls were HUGE. But if you do make more than 16 rolls, they'll be a little smaller so be sure to adjust the baking time-- they'll need less time in the oven! Stir the yeast and the teaspoon of sugar in the warm water (think bath water) and let rest for about 5 minutes or until foamy. In a stand mixer, cream together the butter and sugar. Mix in the eggs one at a time. Add the milk, 4 cups of the flour, the salt, and the yeast mixture. Use the bread hook to knead and mix the dough until it is pulling away from the edges of the bowl (add more flour as needed). 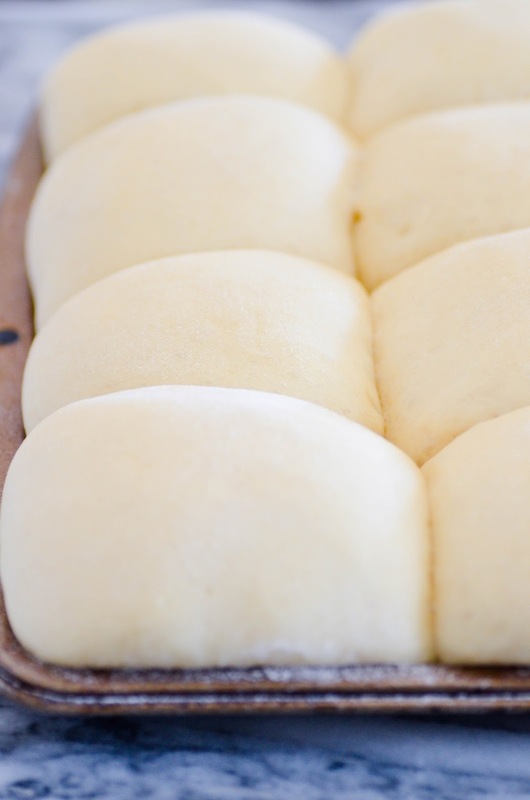 Once a smooth, elastic dough has formed, cover it with a damp towel and place in a warm spot to rise until doubled in size. Transfer the dough to a well floured surface and divide into 16-20 balls of dough. Place on a greased baking sheet, spread evenly apart. Cover with towel and once again allow to rise in a warm place until doubled in size. When ready to bake, preheat the oven to 350ºF. 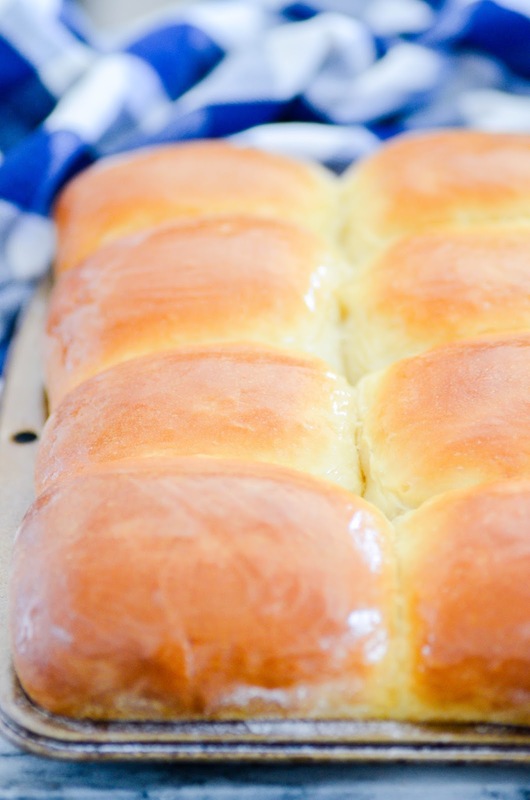 Bake the rolls for 12-14 minutes, until golden on top. Optional: brush the tops with more butter while warm. Nutrition calculated for 16 rolls per recipe. 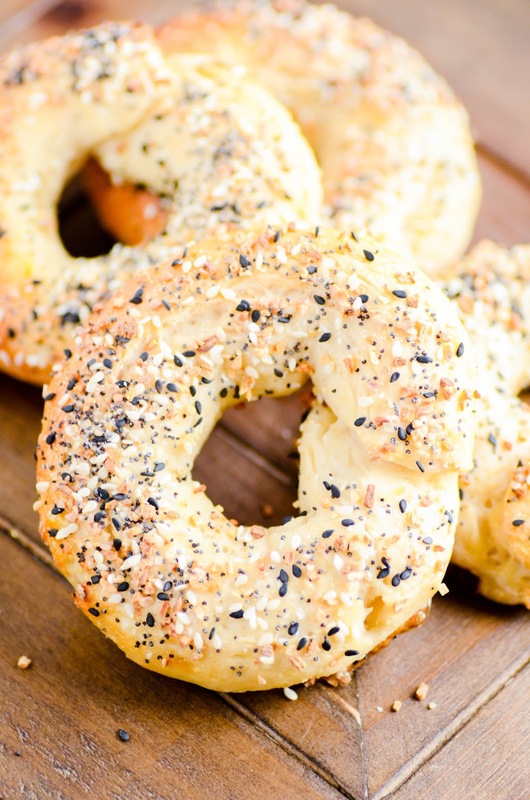 More recipes we think you'll love!